President Shimon Peres plans to deliver a letter from 80 MKs to US President Barack Obama asking for Jonathan Pollard's release. The letter bears the signatures of 80 Israeli lawmakers. 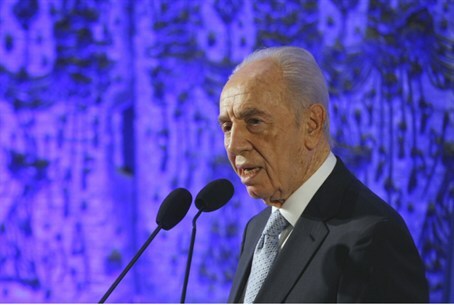 Peres's office told Arutz Sheva that the president working hand in hand with the leaders of the Freedom for Paollard Committee to maximize efforts to secure his release. Peres also requested Pollard's release during his last meeting with Obama, following the AIPAC conference in early March. In 2010 representatives Barney Frank (D-Mass. ), Edolphus Towns (D-N.Y.), Anthony Weiner (D-N.Y.) and Bill Pascrell (D-N.J.) wrote a letter which "notes the positive impact that a grant of clemency would have in Israel, as a strong indication of the goodwill of our nation towards Israel and the Israeli people." On November 18, 2010, 39 members of Congress submitted a Plea Of Clemency to the White House on behalf of Pollard, asking the president for his immediate release. "Such an exercise of the clemency power would not in any way imply doubt about his guilt, nor cast any aspersions on the process by which he was convicted," they wrote. Former CIA director James Woolsey has also endorsed Pollard's release on two conditions: that he show contrition and decline any profits from books or other projects linked to the case.